We have two thoughts to bring to the table, today. You may recall our recent blog post on how a Photograph Speaks 1,000 words? In addition to that, think about this. 1. Great photography is nothing without design. 2 Great design is nothing without photography. While there are obvious rebuttals to these statements... (Nothing beats a framed photograph or a rockin' logo.) Let's talk about Marketing. Photography and Design are merged behind the scenes more than one may realize. Take a look at the graphic, above. Graphics like these are a pin in the bucket of marketing materials leveraging their pitch with Photography. When a Client comes to us for Design, one of the first notes we hit on is whether they need Photography or not. With the holidays right around the corner, we have already begun shooting holiday themed photographs for our Clients marketing needs. Do you have an idea that you would like to make come to life? Hire us to create a dynamic piece where Photography meets Design.  Very exciting news for the Left Coast Marketing team! Rack & Riddle has commissioned Left Coast Marketing to shoot the World Series bubbly that you see being sprayed in the Kansas City Royals’ locker room. Congratulations to the Royals—the 2016 World Series Champions!